What strikes you first are the red-pink sunsets, the vast open spaces, the jagged mountains, the beautifully twisted saguaro cactuses, the overwhelmingly brilliant light. 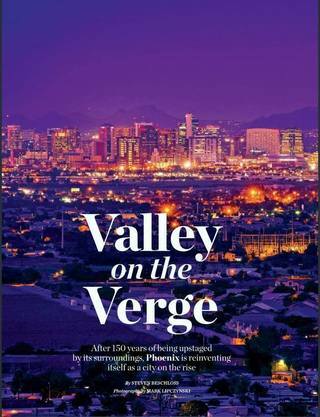 To read the full feature on the urban development of Phoenix, click here. Steven makes complex ideas vivid, readable, compelling. He aims to make sense of a complicated, often baffling world--and shed light on the efforts of creative people in myriad fields. As an editor and mentor, he is particularly passionate about helping others become better storytellers. Can he help you?